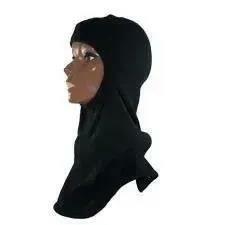 This hood is designed for maximum double layer protection of the chest, shoulders, and shoulder blades. Shoulders are contoured to reduce bunching of the bib. 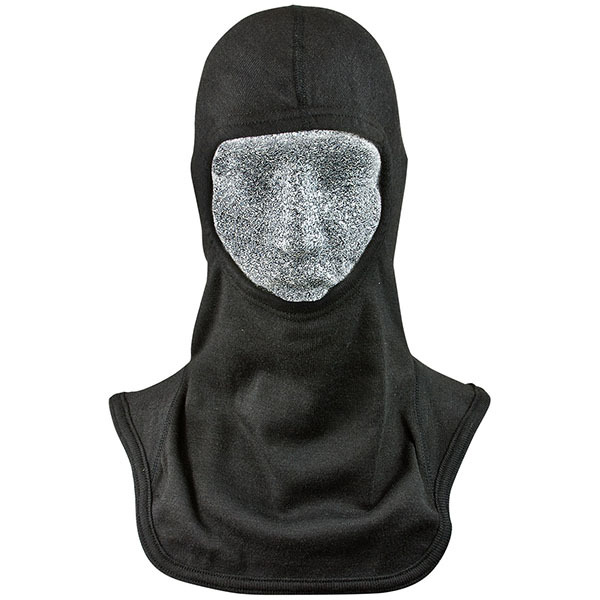 Features flat stitching and seamless chin area for better fit and comfort, 1/2" wide elastic face opening which stretches to a full 17" for easy donning and a snug fit around SCBA mask. Bottom edge is bound with self-fabric bias binding and all sewing is done with 100% Nomex thread.